When you want to see magic in Los Angeles, you go to the Magic Castle. You've probably seen it perched above Franklin Avenue and have always wondered what kind of mystifying acts take place within the walls of this Victorian chateau. If you're an out of towner, this is definitely on of the list of top things to do in Los Angeles for tourists. But if you're a local, it's a right of passage to becoming a true Angeleno. So whether you're going for the bar, restaurant or magic, here's our guide to this exclusive club. The Magic Castle is a private magic clubhouse in Hollywood that offers magic shows, dining experiences and séances to their members. 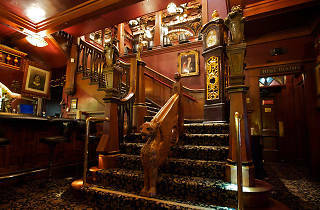 The club first opened its doors in 1963, but the Victorian building dates back to 1908. The Magic Castle is located at 7001 Franklin Ave in Hollywood. It’s one block north of the Hollywood Walk of Fame. When is the Magic Castle open? 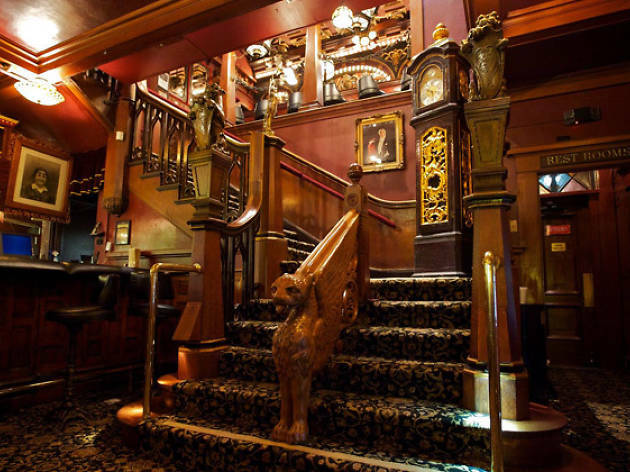 The Magic Castle is open daily from 5pm-2am. Weekend brunch is Saturday and Sunday from 10am-3pm. The venue may be open, but the magic schedule may have different times. There are actually a number of ways to get into the Castle even if you’re not a member, which you can find here. The venue is 21 and over, except during weekend brunch. Members can enter anytime without paying an entrance fee. The same goes for up to five guests entering with a member; additional guests must pay. The admission fee if you manage to get an invite is $20 Monday through Thursday and $30 Friday through Sunday, which does not include the cost of dinner, which is required and can bring the cost upwards of $75 per person. The evening dress code is strict and requires all visitors to dress in business attire or evening wear that is conservative and formal. Suit and tie is the best bet for men, but full turtlenecks, ascots, banded collars, bows and bolo ties are also acceptable. For women, a cocktail dress or pant suit is perfect. Country club casual is the dress code for brunch attendees. Be sure to snap a photo of your fancy outfit before heading inside because there are no photos allowed at the Magic Castle. For a full list of their dos and don'ts, visit their site. What magicians will I see? There’s a rotating list of magicians that perform at the Magic Castle. To find out who will be performing when, check out the Magic Castle’s website. 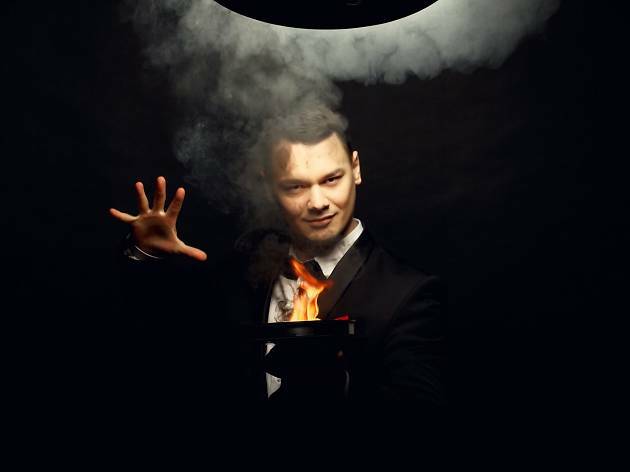 You could even meet Houdini himself during the Magic Castle's special Houdini Séance. After a dinner (and bottomless wine), a medium will summon the other side and invite some spirits to your little gathering. Magic is always taking place at the Castle, with shows happening as often as every 45 mins. As you make your way through the castle, you’ll see magicians set up at tables throughout the property. 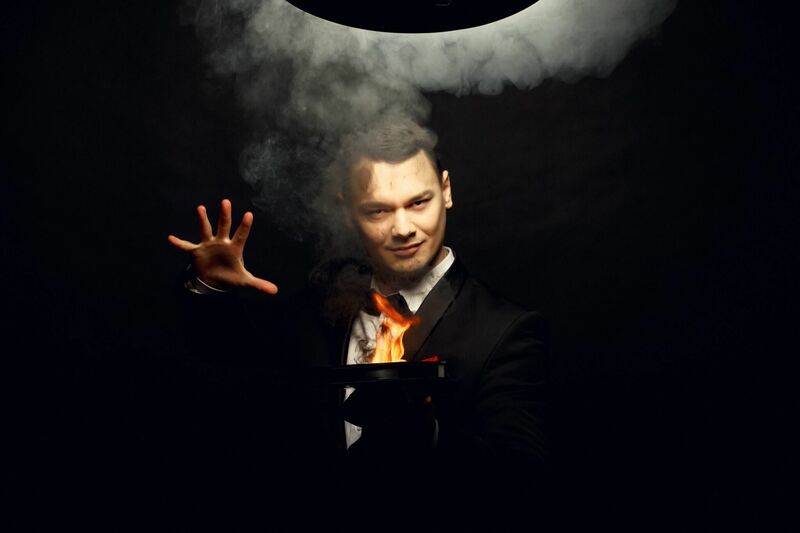 There are also five venues feauturing close-up magic, stage performers, illusionists and more. The Palace of Mystery is the largest venue (130 seats) and the only ticketed show. The only way to snag a seat is by dining at the restaurant. After dinner you will get a ticket to show. The Parlour of Prestidigitation, Close-Up Gallery, Peller Theatre and W.C. Fields Bar offer a more intimate magic experience. Some of the best magic happens at the bars, and no we're not talking about the delicious drinks being made. Some of the best magicians at the club are behind the bars. Also, be sure to plan out your night and get to your desired shows early or else you may miss the best magicians! If you just can't seem to find a way to score your entry into the Castle, here's a list of all the places you can go to see live magic in Los Angeles.